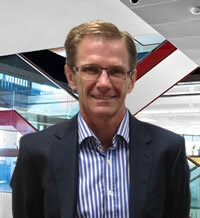 Duncan has 25 years experience in Investment Banking and Chartered Accounting in Australia and the United Kingdom. Duncan was previously a Director of Investment Banking at Deutsche Bank and later at JBWere where he specialised in mergers and acquisitions and corporate financial advice. In 2005 Duncan Co-foundered a Corporate Advisory, Pier Capital which specialises in mergers, acquisitions and capital raisings. In 2011 Duncan sold Pier Capital to his partner and established a property leasing business in Canberra. Duncan holds a Bachelor of Financial Administration from the University of New England and has post graduate qualifications in Applied Finance and Investments and is an Associate of the Institute of Chartered Accountants.